People are at the heart of everything that we do and we try our utmost to ensure that our own people are with us for the right reasons. 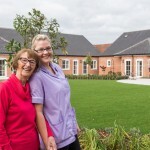 Although organisational growth is far from being our main goal for the future, preferring to stay at a size that will continue to allow for a highly personal level of care and home management, we are always interested to hear from people who view care of the elderly as their vocation – not just ‘a job’. As highlighted on the ‘Our Philosophy’ and ‘Training & Development’ pages, we very much favour the ‘advancement from within’ approach, very often working with people who are at a relatively early stage in their careers and are looking to learn and gain experience within homes such as ours. In this way, we can share ‘best practice’, teaching skills and nurturing behaviours that will give them invaluable insight, understanding and confidence towards being a complete, empathetic, caring professional. The Dell House Care Home, Beccles, Suffolk – opening February 2019. With the opening of our brand new home, Dell House in Beccles (NR34 9PH) in February 2019, we are now recruiting the full spectrum of posts from Assistant Managers, Chefs, Carers, Activity Organisers and Housekeepers. 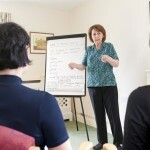 With this in mind, we would like to hear from inherently caring people who feel that they would thrive within a supportive, friendly environment geared towards the provision of exceptional care for our residents – people who believe that they have the right qualities, are sympathetic, patient and comfortable with being a ‘team player’. To express your interest, please email Frances at ops@cygnet.care or call her on 01986 894200.